Description Al-Anon is a worldwide organization that offers a program of recovery for families and friends of alcoholics, whether or not the alcoholic seeks help or even recognizes the existence of a drinking problem. Members give and receive comfort and understanding through sharing experience, strength and hope. No dues or fees. No appointments - walk in and attend a meeting. See website for meeting information. Description The primary purpose of Mid-Shore Intergroup is to be sure help is available when a still-suffering alcoholic requests it. Sometimes a person will call for information, and sometimes they just show up. Like the regular A.A. groups, our primary purpose is to carry the message of Alcoholics Anonymous. The only requirement of membership is the desire to stop drinking. No dues or fees. Description Information and Assistance to support individuals with disabilities to live, learn, work and participate in their community activities. An array of services to support independent living, to include peer mentoring, assistive technology, benefits counseling, advocacy, skills training, job readiness, transitioning services for youth, transitioning support to return home from nursing homes. Description Channel Marker, Inc. is a non-profit organization serving the Caroline, Dorchester, and Talbot County communities since 1982. Established and licensed as a psychiatric rehabilitation program, the organization has worked toward reducing the stigma of mental illness and providing programs to enhance the functioning of individuals with psychiatric disorders. The mission of Channel Marker, Inc. is to promote mental health by providing prevention programs, rehabilitation, and community services to individuals and their families. The agency provides a variety of support services in the area of independent living skills, social skills, coping strategies, and health promotions to clients with serious mental illness such as major depression, bi-polar disorder, mood disorders, ADHD, and schizophrenia, as well as co-occurring substance abuse disorders. Channel Marker, Inc. operates day, residential, health home, vocational, clinical group practice, and community support services in all three counties for adults. Channel Marker also has community support services in Caroline, Dorchester and Talbot counties for youth and adolescents. Description Chesapeake Center provides Vocational Training through on the job training so employees with disabilities can earn a paycheck for work performed. Some of the participants that attend daily are transported in vans owned by the Center, traveling from Talbot, Caroline, Queen Anne’s and Dorchester counties. Many vocational consumers live in residences owned and operated by Chesapeake Center. Living with 3 to 8 other adults, Group Home residents learn how to take care of themselves and their house. For those who master household skills and can safely live alone, Chesapeake Center offers drop-in Support Services by trained staff. Respite Care is also available. Description Chesapeake Treatment Services' clinics are dedicated to the recovery of individuals struggling with opioid addiction. We will offer Suboxone and daily doses of methadone. We provide affordable care in a respectful and welcoming environment for individuals who are suffering with the disease of addiction. We are a licensed facility which operates within all Federal and State guidelines. We have an experienced and professional staff to assist you with your recovery efforts. As a team, CTS is committed to exceed all industry standards to provide an unmatched level of care and services to its clients. Description CVI offers Peer Support to anyone living with behavioral health (mental health and addiction) issues. We offer support groups such as Emotions Anonymous, Depression and Anxiety Recovery group and Social activities geared towards promoting wellness and recovery. We offer individual peer support to anyone who is in need of receiving support from someone who has similar lived experience. Our Wellness & Recovery Center is located in Easton and we have a presence in each of the other four counties as well. Visit our website for more information and a list of women's health resources. Description Choices Pregnancy Center exists to help women know and understand all their pregnancy options. Services are free, confidential, and professional. Services include: pregnancy testing, sonogram for pregnancy viability, one-on-one counseling, abortion education, STD testing and education for men and women, pregnancy and abstinence information, post abortion stress syndrome support group, pregnancy options, and parenting classes. *We are available 24 hours a day by chat. Description Corsica River Mental Health Services, Inc., provides outpatient mental health therapy services for adults, children and families. SUD services offered in Easton in collaboration with For All Seasons, Inc. Description When it comes to professional dentistry, look no further than Delaware Maryland Dental of Salisbury. We treat anyone in need of dental services in our Easton and Salisbury, MD clinics. Our doctors and staff members are all family-oriented. We establish ethical interactions with all of our patients. Description Our Family Dental practice in Easton, MD provides Dental Implants, Porcelain Veneers, Cosmetic Dentistry, and Crowns and Bridges. Description We look forward to meeting you and helping your child achieve and maintain excellent oral health that will last a lifetime! Our goal is to provide the finest in pediatric dental care in a relaxed and enjoyable setting. Dr. Cynda Hill is a board-certified pediatric dentist providing care for infants, children & teens in Easton and the surrounding Eastern Shore. Description The Developmental Disabilities Program/Resource Coordination is the local link to the Developmental Disabilities Administration. This program is designed to assist individuals with disabilities by processing eligibility for DDA, to identify appropriate services and resources, to obtain needed services, and to enable them to gain as much independence as possible in their lives. Anyone with severe, chronic disability, other than the sole diagnosis of Mental Illness and who needs/or will need residential, day, or support services may apply. Interpreter services are available. Eligibility depends upon your type of disability, its effects on your ability to live independently, and your age when you became disabled. DDA services are not an entitlement. To apply for services, any Talbot County resident may make a referral by calling 410-819-5600 or complete a Referral Form which can be mailed or faxed. Description We provide free legal services to Marylanders of any age with all types of disabilities (developmental, intellectual, psychiatric, physical, sensory, learning, traumatic brain injury), who live in facilities, in the community or who are homeless. Disability Rights Maryland services plan includes: children’s mental health, adult mental health, developmental disabilities, education, nursing facilities, traumatic brain injury, assistive technology, civil rights and community inclusion, voting rights, medicaid, advocacy for social security beneficiaries and public policy. Description DORS helps people with physical, emotional, intellectual, developmental, sensory and learning disabilities go to work and keep their jobs by providing services such as career assessment and counseling, assistive technology, job training, higher education and job placement. DORS will assign a counselor who will talk with you about DORS services and find out if you are eligible for these services. Many DORS counselors are specially trained to work with specific groups like high school students or individuals who are deaf/hard-of-hearing, blind or have persistent mental illness. Description At Donald E. Broskey DMD in Easton, Maryland, our staff is committed to providing the top service in the industry. Our family dentist has more than 20 years of experience working with patients of all ages. Description At Dr Quimby’s dental office our priority is to deliver comprehensive, quality care to informed patients in a comfortable and convenient setting. Description Eastern Shore Psychological Services is a private for Profit Limited Liability Company devoted to excellence in Behavioral Health Services for the Eastern Shore of Maryland and beyond. Services include: Outpatient Mental Health for individuals and families, group services for children, youth and adults, Medication Management, Psychiatric Rehabilitation Program (PRP), and Psychological Testing and Evaluation. Description Eastern Shore Smile Solutions offers a full array of dental services to help you maintain healthy teeth. Description Offering family and cosmetic dentistry, our dedicated and friendly staff will make the visit to our dental office pleasant and rewarding. Description This group has been created for Pregnant and New Mothers on the Eastern Shore of Maryland. We hope to create a safe, supportive environment for pregnant and new mothers who may have questions or concerns regarding their mental health as they go through the life changes of being pregnant and giving birth. We will not and cannot provide counseling or therapy in this group. We are here to offer support and resources. If you are experiencing a crisis, please seek help immediately by calling 911, or the Life Crisis Center Hotline at 1-800-422-0009. Description Dr. John V. Louis, a skilled periodontist in Easton, MD, can improve the health and appearance of your smile. Dr. Louis offers comprehensive periodontal services, ranging from dental implants to BIOLASE laser gum disease treatment. Sedation dentistry is also available to ensure that you have a relaxed, anxiety free visit with us. 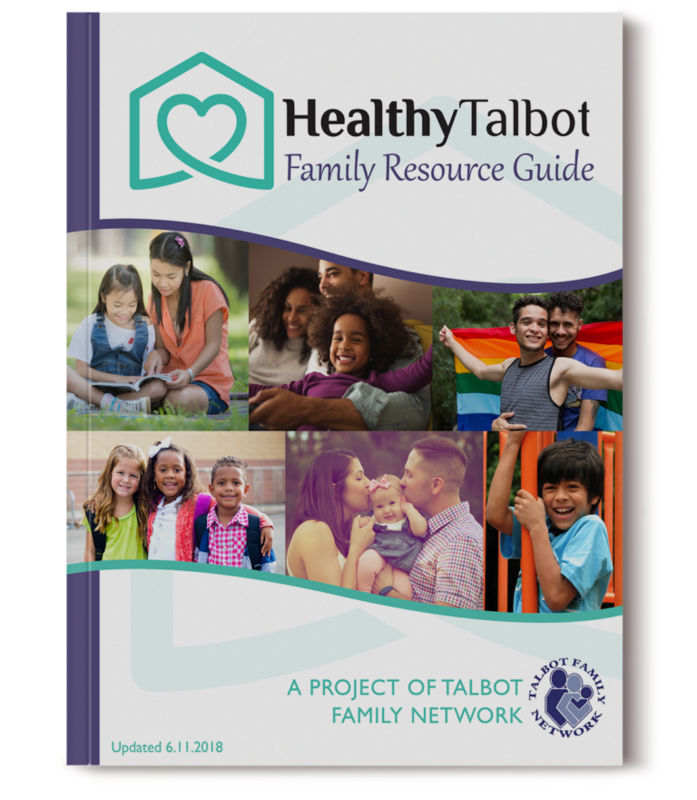 Description A family friendly resource team of Talbot County family serving agencies to assist families with children facing behavioral, school, mental health or physical challenges. Description Our trained staff, who themselves have cared for a loved one with mental health, substance use or gambling issues will work one-on-one to help you understand the services available in your community and how to access them. Visit our website for a list of Peer Support Specialists on the Eastern Shore! Description We offer educational programs for all age groups. We have a Kids on the Block puppeteer program for school age children, a Healthy New Moms public awareness campaign and our flagship program, Mental Health First Aid. We also provide workforce training on a variety of topics and host a conference each November on "Linking Mental Health to Academic Success". MHAES also leads a nine-county effort called the Shore Training Collaborative that provides workforce training and educational programs for the community. Description MSBH’s mission is to continually improve the provision of behavioral health services for residents of Caroline, Dorchester, Kent, Queen Anne's and Talbot Counties through effective coordination of care in collaboration with consumers, their natural support systems, providers and the community at large. Although we are NOT a treatment provider, our purpose is to develop a full array of quality, accessible behavioral health services, resources and supports throughout our rural region. We provide education and guidance to consumers, family members, providers and community leaders about behavioral health. We seek to improve the health and wellbeing of consumers and the entire community, because we believe behavioral health is essential to overall health, and is as important as physical health. We have hope that we can achieve wellness together, and aim to inspire others to join us in doing so. Please visit our website for our Behavioral Health Resource Guide for the mid-shore region, as well as more information on our services and programs including housing, behavioral health evaluations for the criminally involved, consumer support funding, population-based workgroups, and much more. Description This is a website with conversations, resources, and media tools specific to the Mid Shore of Maryland - Dorchester, Talbot, Caroline, Queen Anne's, and Kent Counties - around the opioid crisis underway nationwide. Description FRESH START is a nonprofit Transitional Supportive Housing program for people recovering from substance abuse addiction. Our goal is to provide (beginning in the summer of 2009), in the mid-shore area, a stable housing environment complemented by aggressive case management to assist the residents in achieving sobriety, independence and self-sufficiency with enhanced possibilities for future success. Individuals in the early stage of substance abuse recovery often encounter multiple problems which may impede their efforts to remain clean and sober. In addition to the addiction itself, there are often housing, employment, legal, and family problems. Support in areas such as housing, jobs, and appropriate emotional and social skills contributes to a greater likelihood that the recovering individual will remain clean and sober over the long term. The Fresh Start Program provides the Mid-shore area with a transitional supportive housing program for persons who have completed a drug and/or alcohol treatment program. Description Mid-Shore Restoring HOPE in Women will provide the network resources to get help from addiction. Afterwards we will provide GED, Job Training, Celebrate Recovery Programs, Counseling, Sponsorship and a Loving Church Family. Dr. Wise graduated from the University of Illinois and went on to pursue a career in psychiatry at Johns Hopkins University. He completed his Geriatric psychiatry training at the University of Maryland in Baltimore. After an adventurous tour of the West Coast including Alaska he returned to the East Coast to continue practicing community psychiatry. His experiences allow him to understand the geropsychiatry of this region and he is well-equipped to assist in the treatment of a range of mental health issues. He has roots in the Eastern shore community and finds a pleasure to be back home treating the population of the Eastern shore of Maryland. Description We offer recovery from the effects of addiction through working a twelve-step program, including regular attendance at group meetings. The group atmosphere provides help from peers and offers an ongoing support network for addicts who wish to pursue and maintain a drug-free lifestyle. Our name, Narcotics Anonymous, is not meant to imply a focus on any particular drug; NA’s approach makes no distinction between drugs including alcohol. Membership is free, and we have no affiliation with any organizations outside of NA including governments, religions, law enforcement groups, or medical and psychiatric associations. Some types of treatment available at our practice include but limited to: CBT, DBT, ACT, Emotionally Focused Treatment, Trauma-Informed Care, Trauma-Focused CBT, EMDR, play therapy, and medication management. Accepts most insurances. We accept many insurance plans. If you don't have insurance, affordable coverage options may be available. Description Positive Strides provides physical and emotional therapy to individuals using horses. Our curriculum is adjusted to the individual needs or requirements and/or capabilities of our clients. Our goal is not to turn out great equestrians, but to build confidence, self-esteem and a sense of accomplishment. Our therapy also increases attention span and develops ability to take, understand, and follow directions. We work on coordination and spatial relationships, as well as stretching and strengthening exercises. Thus individuals can better realize their potential and find a place in our society in which to lead a productive life. We emphasize abilities not disabilities! Description Project Right Steps provides FREE behavioral consultation for parents and child care providers of young children (infancy through 5 years of age) struggling with challenging behaviors, to help the child be successful in a child care setting or school. Project Right Step services are funded through the Maryland State Department of Education and managed by the Chesapeake Child Care Resource Center Chesapeake College. Services are provided in Caroline, Dorchester, Kent, Queen Anne's and Talbot counties. Description Rising Above Disease (RAD) is a non-profit dedicated to assisting and encouraging women on their journey in recovery from addiction. Our mission is to help them improve their lives using the resources and guidance from our community. We provide the most basic of human needs, a roof over their heads, a comfortable bed, a clean shower and the comfort of other women who want to help. We provide assistance in obtaining medical care, dental care and mental health services. We assist our residents in the overwhelming tasks of straightening out the unmanageability of their lives. The bank, the DMV and the Social Security office are often scary places for a confused woman in early recovery. We walk side by side with these women, as we empower them to manage the details of their lives. These simple skills, that many of us take for granted, could be the deal-breaker that drives a woman back to her previous lifestyle. Guidance and support also offered. Description Dr. John Serino is proud to offer outstanding orthodontic care for the entire family in a clean, relaxing atmosphere. We offer a wide range of orthodontic treatment to meet the needs and desires of each individual patient. Description Shore Family Dentistry creates a relaxing environment where we can offer caring attention to each patient with state-of-the-art technologies. Our goal is to improve the smiles of the community, one at a time. Smoking Cessation – Talbot County Health Dept. Let us help you quit! Our smoking cessation program is FREE to Talbot County residents, regardless of income or insurance. Cessation medications, including Chantix, bupropion, nicotine patches, gum, and lozenges are offered FREE to those with consent from a physician. Classes run for 12 weeks, and there is a combination of group education and individual support and counseling. For more information, or to register for class, please contact us. ​​Mini-grants are available to Talbot County schools, community, and faith-based organizations to implement tobacco education programs and activities. Grants are reviewed on a rolling basis between July 1st and June 30th each year. To apply for a grant, please visit our website for an online application or contact the Prevention office. Enforcing tobacco youth access laws is an important component in preventing and reducing youth tobacco use. Educating youth about tobacco laws and providing education and training to tobacco retailers is key. Description The Talbot County Infants & Toddlers Program provides early intervention services, at no cost to the families, for eligible children ages birth to three years and their families. (If a child is receiving services prior to their third birthday, there is a provision to remain on an extended plan until pre-K age). Children qualify based on one of the following: a 25% or greater developmental delay in one or more areas of development, a diagnosed condition with high probability of delay or atypical development n one or more areas of development. Examples of children served include: premature babies, children with language or motor delays or those diagnosed with autism spectrum disorders. The Talbot County I&T Program, in accordance with state and federal requirements, is an interagency program. The three local participating public agencies are the Public Schools (lead agency), Departments of Social Services and Health Department. Services are voluntary, so families may choose to use some or all of the services offered. Services are provided in homes, child care settings or other community settings where the child and family naturally spend time. Description Talbot Partnership is a coalition working toward a community free from substance misuse and abuse. Working to ensure that the community is aware of current concerns and issues regarding drug use through community events, lectures, articles and social media. Community Driven, Youth Focused Membership Club for Youth ages 12 to 19. Countywide activities are offered to youth members who are looking for stimulating, fun activities, based on their requests, and are drug free. Description The Arc is the largest community-based organization advocating for and serving children and adults with intellectual disabilities and their families within the Chesapeake Region. Serving Anne Arundel, Caroline, Dorchester, Kent, Talbot and Queen Anne’s Counties, our dedicated staff works on the front-lines providing life changing interventions, grants, services and programs to individuals throughout their lifetimes. Progressive and innovative, we look to the individual’s strengths and preferences to determine the best way to serve their needs and desires and adjust our programs to fit the person, not the other way around. We serve those at any age and any stage of their life and over 100 different diagnoses including autism, Down syndrome, Fragile X syndrome, and various other developmental disabilities. Visit the web for a list of programs and services. Description Beverly Rohman is a Learning Consultant and Board-Certified ADHD Coach dedicated to assisting, encouraging and providing support for individuals and families who struggle with Attention Deficit Hyperactivity Disorder (ADHD) and other learning differences. The Learning Connections provides a wide range of valuable services aimed at helping students, families and adults with learning challenges. Description Your Home Companion provides non-medical home care services to older adults and individuals with disabilities in the comfort and privacy of their own homes or in assisted living facilities and even hospitals. These services include companionship, light housekeeping, safety assistance, medication reminders, meal preparation and transportation. All of our home care services are individualized to meet our client's needs to include the number of hours, number of days, services and rates (which are tiered based upon the number of hours of service needed). *Mail assistance, just to name a few.